Jan Lockhart (Facebook group Bygone Bedlington) asked if anyone had a photo of Marshall's Buildings as she wanted to add one to her family tree album to show where her relatives lived. She could only remember them as derelict next to the Dun Cow pub. 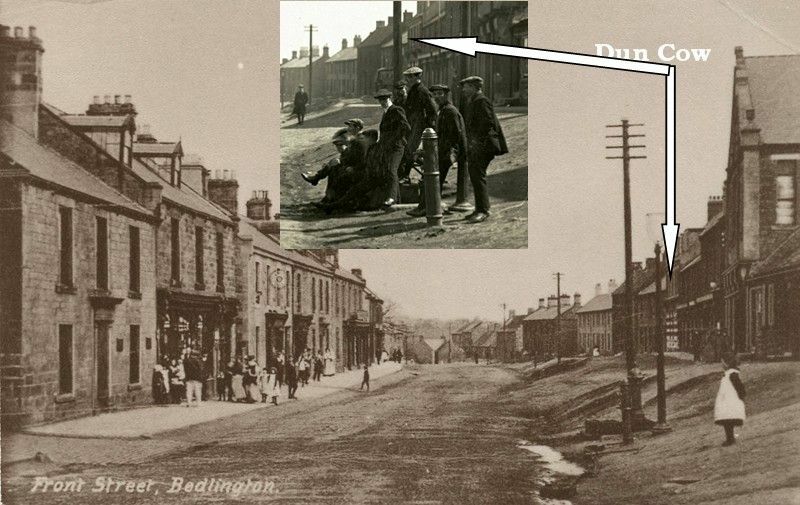 I remembered @Cympil had a photo of Front Street east in his Gallery>Historic Bedlington>Bedlington & Netherton Old Photo`s album so I shared the photo with her and Marshall's Buildings identified as the building to the left of the Dun Cow, towards Millfield. @Reedy then added a photo to the topic with this comment :- I found this picture in Dad’s collection. 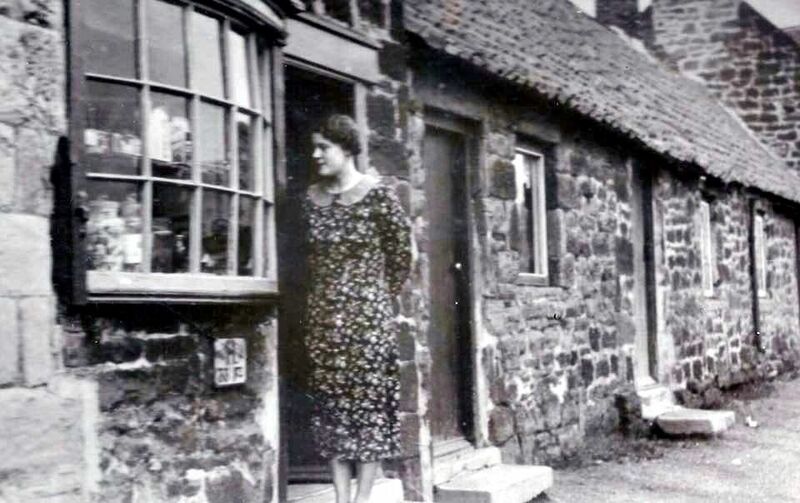 It’s marked as ‘Millfield area - Miss Watson outside her sweet shop’. Sorry no date or exact location. Dad said :- Miss Watson had 2 brothers who were both painters & decorators and had a storage building on the left as you turned into Millfield. One brother was called Murray. The sweet shop was on the right as you entered Millfield. Can anyone remember Marshall's Buildings or Miss Watson's sweet shop?